Traditionally, most in-house attorneys have not spent much time thinking about their careers. Most are focused intently on current legal projects and have worried about advancement only when the annual review process appeared again on the calendar. Even the best attorneys have relied on assurances that they would be "taken care of" by department management when raises and promotions were passed out. Those who have actively tried to improve their career opportunities, have been castigated by other attorneys who are somewhat threatened by their obviously ambitious efforts to advance. While most lawyers know they should be doing more to lmanage their careers, the day-to-day pressures of project deadlines provide "good excuses" to set aside such long-term considerations. Minority attorneys, for whom promotion and raises have been less certain, have relied more on moving from one company to another to get a major promotion, rather than climbing the ladder behind majority lawyers who were given higher visibility opportunities in greater numbers. Ironically, the ease with which minority attorneys have been able to move to a higher-level job in another company, is causing many companies to look again at why they have such high turnover among minorities. Chief among these reasons is that effective career development for minorities is lacking. However, a deeper review of the failings of internal career development programs often reveals that majority attorneys are just as dissatisfied with professional growth and development opportunities as are minorities. Generally, only a small percentage of attorneys in corporate law departments are confident that they understand the steps they should be taking to accelerate their careers, and fewer still are happy with the progress they are making, particularly now that salaries for starting attorneys in law firms is rising so sharply. The efforts being made by some companies to expand career opportunities for minority attorneys are leading to a new wave of law department initiatives to help everyone, not just minorities, to have better mentoring and career development experiences. Here again, through efforts sponsored initially by diversity committees to help minority attorneys, law departments are finding ways to more effectively address the needs of majority lawyers as well. So, in the midst of greater awareness about the importance of professional development, what can you do to improve your career success as an in-house attorney? How do you land the top in-house role of general counsel? To get real-world answers, we asked four minority attorneys who have made it to the top in Fortune 500 companies to share their insights on what is required: Jose M. de Lasa, Abbott Laboratories; Stacey J. Mobley, DuPont; Don H. Liu, Ikon Office Solutions; and Roderick A. Palmore, Sara Lee Corporation. One important consensus of these general counsel is that lawyers have to take as much responsibility for actively managing their careers as possible. It is key to recognize when and how to actively influence your legal career and to follow-through. "When I chat with young attorneys about careers," says Rick Palmore, "I ask them: What's your one year plan and what's your five year plan, and how does what you're contemplating fit within these plans? Unfortunately, very few even have a plan." An important career opportunity might come because a friend or recruiter encourages you to interview somewhere, or because you have a chance to take a high profile assignment. The key is to have a plan in mind for your career and to be able to evaluate the opportunity in the context of your plan with what you want to achieve. They are successful managers who know how to organize people and leverage resources to achieve great results. They have mature legal judgment and know how to apply legal principles to any situation. They understand how to navigate the legal and regulatory process successfully. You can develop your plan by deciding what experiences you need to gain these characteristics. This will almost certainly entail several successful stints as a business unit lawyer – dealing with real-world issues. You'll need experience with litigation and corporate issues such as mergers and acquisitions. If you have a deep specialty, you'll want to broaden your experience so that you can demonstrate the type of big-picture view demanded of general counsel. Along the way, you'll need opportunities to manage increasingly large groups of legal professionals and demonstrate that you can create an effective team. According to Rick Palmore, "There is a tendency for lawyers to be what I call 'silo lawyers.' They look at things in a relatively narrow way – 'This is my world and this is all I'm really interested in.' This is a profound disadvantage. Life isn't this organized! For those lawyers who aspire to more responsibility and bigger jobs, they aren't parceled out this way. It's rare, particularly the higher you go up the chain, for a company to hire a person with narrow expertise and interests." One key step is to figure out how your supervisors, clients and peers perceive your strengths and weaknesses. These perceptions will greatly influence what opportunities are given to you and how you are compensated. Accurately understanding the perceptions people have about you will be particularly important if you are a minority and thus more obviously affected by stereotypes. "Sometime early in my career," states Don Liu, "somebody said to me 'You're very lucky, Don. You're an Asian and all Asians are smart.' Which is obviously a stereotype. If people think I'm smart just because I'm Asian, there is no reason to dispel that. But you have to look deeper and recognize that there are negatives to this stereotype. This includes being thought of as a good solid technician, but not as a creative thinker, not a leader. Asians are seen as meek, quiet, and not aggressive. This is deadly for a lawyer's reputation, particularly for a transaction lawyer!" "The fact that I had this race issue forced me to try to figure out my strengths and act on them," Liu continued. "You need to get rid of the weaknesses and address these issues head on. So, from time to time, I yelled, pounded the table and played a role to break the stereotype. People were shocked, but it worked in my favor to force them to deal with me, not the stereotype. " "When I joined the DuPont legal function (in 1972), I was the first attorney of color," said Stacey Mobley. "Three others joined soon after [in a department of white men]. We were very visible — everyone knew who we were. We couldn't screw up. If I screwed up it would be too easy for people to say, well we tried it and it didn't work, so let's move on. In addition to personally wanting to succeed, I wanted to say 'let's keep this door open.' My boss and I had very open conversations about this. I accepted this burden or opportunity willingly and I knew the stakes." The next key step to career success is to be sure that you are in the right environment to grow your career. One threshold criteria is to be certain that you are in an organization that values lawyers in the business process. If you are going to successfully influence the course of the company while in your role as a business lawyer, it can be totally frustrating to try to shape the thinking of business people who don't have respect for the contribution good lawyers can make. If the whole company culture is generally anti-lawyer, you should think twice about trying to grow your career there. If you are a minority, another fundamental criteria should be that the organization is committed to diversity and places the priority on professionalism and results, not social background. These days, there are many companies that are visibly committed to diversity, and reward high performing minorities with high profile leadership roles and top compensation. If a company looks at race as an impediment to advancement, look elsewhere. Rick Palmore is very definite about the quality of the work environment. "One must recognize the importance of this as a factor first. A lot of people don't. Even for some people who recognize it as A factor, they don't think of it as THE factor. I tend to think of this as THE factor. And that focus allows me to be single-minded about trying to ferret out whether it is the type of place I want to be." "For example," Palmore continued, "I have a friend who called me to tell me that she is working for a certain law firm in a certain state and was unhappy. I was astonished. I said to her that given the negative attitudes of the law firm and more generally, other key organizations in the state, going to work at that firm would be the last thing I would do." The four general counsel all agree that having one or more effective mentors is a very high priority. Where will you find the right mentors? According to Rick Palmore, his advice is to avoid limiting yourself. "Don't think about it in just one way and say, I need to have a mentor, and my mentor needs to be somebody who is in my department or law firm. If that is the way it happens, great, but don't preclude other possibilities because it doesn't happen in just the neatest way." Don Liu had a similar perspective. "I didn't rely on the formal feedback process in the firms where I worked," Liu said. "I figured out who the people were who I could count on to help me and I made sure that I strengthened those relationships. This cut both ways. They could count on me to do a good job for them when they were in a bind and they would give me solid advice about my performance that I could rely on." "I think it helps to be analytical," said Palmore. It helps to be very observant, very attuned to what is going on outside your own existence because in whatever environment you are in, having a mentor is important, and having the right mentor relationship is very important." There is no faster way to gain senior management sponsors than to deliver outstanding results on important assignments. According to Jose de Lasa, you want to get assignments "that exposes you to senior management, the more senior the better. Those are the kinds of assignments that are most advantageous, assuming you perform competently, because they are the ones that cause people [senior managment] to say, 'Oh, look at that guy, I want to work with him again." Don Liu agrees. "You've got to get the right type of deals and assignments to utilize the opportunities that come along to hit a home run. That issue was not obvious to me when I walked in the door. You've got to think strategically about what you have to do to position yourself to make sure you don't get left behind." "There's a guy in a barbershop in Chester," according to Stacey Mobley, "who says you make your own luck. You can create the positive circumstances by looking at things that are presented to you and by going beyond what's expected of you. You get the solid singles knowing that the home runs will come. You can't overlook the small things because in the end, it is the small things that are going to make or destroy you." "I had this naïve belief that I could stop marketing when I went in-house," said Don Liu. "The only difference between in-house and outside is that as an outside counsel you could see short periods when you could stop marketing. But in-house, you have to market 24 hours a day, seven days a week because you live with clients every day. You have to constantly build their confidence. It is marketing that focuses on making certain that they feel you are reliable and responsive." According to Jose de Lasa, you need to "look for feedback through informal channels, not just formal reviews. You need to look for the signs all around you. From day one, I had signs that I was doing well. These included outstanding performance reviews and contact with senior management. You get to know that people appreciate you. People hint that you have a good career at the company. And this is then coupled with advancement. So the noise level matches the actions." Few CEOs will consider hiring or promoting a lawyer to the general counsel role unless he or she has had successful management experience. Today's general counsel is expected to run the law department like any other part of the business, while building an effective and loyal service team that wins client support. "To manage, you've got to learn how to delegate, to coach, and to hold accountable," says Stacey Mobley. "Part of the 'turning loose' process means not necessarily giving up the review of the work product, but in fact, being there for people, coaching and counseling them, so they can take on the full responsibility for learning and producing the work. You have to disconnect yourself from your basic instinct that says 'let me write this brief because I can do it in half the time.' That's not want this is all about. That first supervisory role is the most difficult because you have one foot in the practice and the other in the area of relying on other people. At advanced levels, you are relying totally on others to do the work and your management role is to talk up the importance of building the whole team and showing that you mean it. This is a marathon, not a sprint." Management experience doesn't just come from having ongoing supervisory responsibilities for a group of lawyers. There are many opportunities to join and lead departmental or company-wide task forces that focus on key corporate objectives, including new market offerings, operational reengineering and global expansion and joint ventures. Such assignments, which are often more open to volunteers, have the virtue of providing plenty of senior management exposure for people willing to work hard and deliver the results persuasively. Such roles can lead to offers to join the business side on a rotation management role. "Companies now are under tremendous pressure to hire and promote minorities," says Jose de Lasa. "Maybe it is not happening as it should at the lower levels, but at the level of general counsel, companies will have no hesitation and I think minorities will have an advantage." Not every job is going to work out to your advantage despite your best efforts. If you feel stymied, how do you know when it is time to look for a new job? "One needs to have some larger context in mind," says Rick Palmore. "It's not just you and your particular situation. There are other examples either in your organization or your city that you should have access to which give you a larger context in which to make this decision. It's much more difficult to make that judgment if you don't have that context." Here again, it is key to have an accurate assessment of how you are being perceived by your supervisor, clients and peers. Are you being held back by problems they see but you aren't willing to acknowledge? Or, are others being given preferential treatment because they have senior management sponsorship and you haven't developed similar relationships? Or are you less valued by the organization because your skill set is not in synch with the skills the organization needs for the future? Any or all of these may be coming into play. Rick Palmore asks, "What are the messages you are getting from your environment? If the messages are 'Gee, you are doing good work, keep it up and you'll receive the benefits,' then you have something to work with. However, if the comment is 'Oh yea, I know you want X, Y and Z, and I don't know when it will happen for you,' then this is the point when you realize the time has come to leave." "You also have to get along with your boss," reminds Jose de Lasa. "If you have a bad relationship with your boss, that's a strike. Unless you really know that your boss is incompetent and it is just a matter of time before that boss is going to be kicked out, you should be mindful of your actions, because any negative behavior on your part could backfire against you." "I know its time to move on," according to Stacey Mobley, "when I get bored, when things aren't interesting, or when there is not a way to do something in a different fashion or I can't see new challenges." "Another factor is whether you are continuing to develop," says Rick Palmore. "Where are you on the learning curve? If everything is new, that tells you something. If you are doing everything for the tenth time, that tells you something else." Steve Nowlan is a member of the Board of Directors of MCCA and senior vice president of TyMetrix, Inc.
Each of the lawyers on our panel has had a distinguished career in the law. All are very involved in community affairs, serving on the boards of both professional societies and community organizations. Jose de Lasa, a native of Cuba, graduated from the Yale Law School and spent several months as a full-time volunteer attorney in the Bronx office of New York Legal Services. After being an associate at Cleary Gottlieb, Steen & Hamilton he was recruited by Bristol Myers. He spent 18 years as counsel to business units in South America, Europe and the United States while managing more than 20 attorneys. After achieving the role as Corporate Secretary, however, he was concerned that he might not be considered for the role of General Counsel. Upon considering his options, he realized that the role of general counsel at Abbott Laboratories was open and in 1994 wrote to the head of human resources asking to be considered. Ultimately he was selected over other candidates because he was a very good lawyer and because he had significant successful experience as a manager. Don Liu, a native of Seoul, Korea, is a Harlan Fisk Stone Scholar from Columbia University School of Law, where he earned his J.D. in 1986. He started his career in New York as an associate at Simpson Thatcher & Bartlett and subsequently at Richards & O'Neill. After six years of law firm practice, he was contacted by a recruiter who had keen awareness of Liu's value in the marketplace. After turning down offers from other companies, he was recruited as deputy general counsel at Aetna U.S. Healthcare in Blue Bell, Pennsylvania, where he eventually had 40 attorneys working for him. When in early 1999, the offer came from Ikon Office Solutions to become the company's general counsel, he was ready to accept the challenge of being the senior legal officer for a major company and the first Asian American general counsel of a Fortune 500 company. After graduating from the University of Chicago Law School in 1977, Rick Palmore started his career as a litigator with a Pittsburgh firm but grew concerned early on that he wasn't getting exposure to the right mix of tough cases. He sought opportunities with the U.S. Attorney's offices in Pittsburgh and Chicago, and ultimately was hired as Assistant U.S. Attorney, Northern District of Illinois where he gained significant litigation experience for several years. He was recruited away to a Chicago law firm by a college friend, where he stayed for several years before going to Sonnenschein, Nath and Rosenthal as a partner. After ten years with SNR, he was recruited to Sara Lee Corporation as deputy general counsel by Janet Langford Kelly. He was named to the top job by CEO John Bryan when Kelly left to become General Counsel at Kellogg in 1999. After graduating from pharmacy school, Stacey Mobley wanted to become a physician but had to mark time until the required exams could be completed. He enrolled in law school to use the time well. 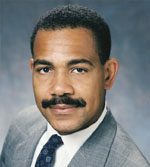 Upon graduation from Howard University Law School, in 1971 he was awarded a fellowship by the Office of Economic Opportunity and opened a storefront legal aid office in his hometown of Chester, PA. After the one-year fellowship, he applied for an in-house position at DuPont and became the company's first minority lawyer. After 11 years in the law department, he was promoted to director of federal affairs in Washington, DC and then to vice president in 1986. In 1992, he became vice president – communications and moved back to DuPont headquarters in Wilmington. 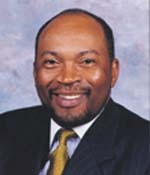 He was promoted to senior vice president in 1996, and made chief administrative officer of DuPont in May 1999. DuPont's chairman asked him to take on the additional role of general counsel in November 1999. James C. Diggs, Senior Vice President & General Counsel, PPG Industries, Inc.
Kenneth C. Frazier, Senior Vice President & General Counsel, Merck & Co.
Don H. Liu, Senior Vice President & General Counsel, IKON Office Solutions, Inc.
George W. Madison, Executive Vice President, General Counsel & Secretary, Comerica Inc.
Deval L. Patrick, Vice President & General Counsel, Texaco, Inc.